The Thorp Alumni Association Scholarship Fund was started in 1983. Since that time, 120 graduating Thorp High School seniors have been recipients of these scholarships. 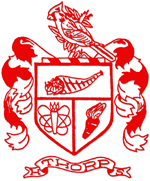 The TAA Scholarship Fund is funded by donations from Thorp High School alumni. Beginning with the 2016 allocation, a maximum of $9,000 per year will be paid out at the discretion of the Executive Committee to fund scholarship awards and other grants of assistance to promote the diffusion of knowledge and skills to Thorp students and graduates. If you wish to donate to the TAA Scholarship Fund, make a check payable to the TAA Scholarship Fund and send it to P.O. Box 75, Thorp, WI 54771-0075.